Leaf prints are some of the easiest fall art that your child can make. Seriously, your child needs all of three items to make this colorful project. I know, I know – traditionally autumn art is jam-packed with the colors of fall. But, this activity changes things up a bit and allows your child to use a rainbow of colors. Go outside and take a look at the fall leaves. What colors are they? Your child is going to answer. Yellow, brown, orange or red. That got me thinking – why keep the already colorful leaves the same hues? Why not change them? Let your little artist explore the wide world of colors to her heart’s content. Give her a palette of paints that looks like a Crayola box. She can use the paint as is or mix and blend completely new colors. If your child is up for the mess (and you’ve prepped for clean-up), have her trade in the brush for her hands! · Tempera or washable finger paint—We used Crayola’s Washable Kids Paint. 1. Pour the paint into pools on a palette or a piece of wax paper. You can also use a plastic-ware lid to hold the paint. 2. Coat the first leaf with paint. 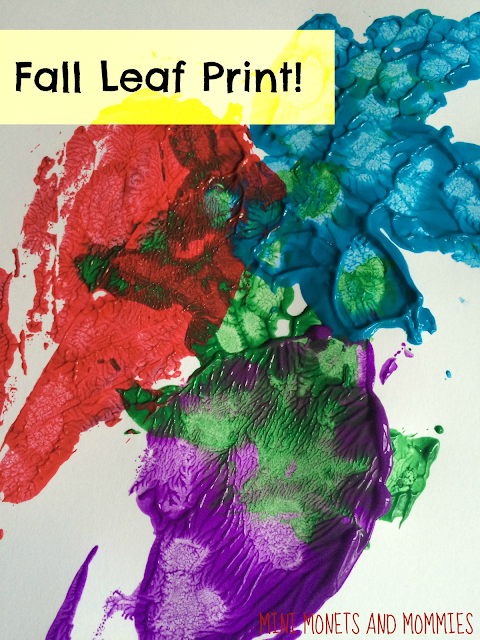 Have your child dip her hands into the paint and spread the colors onto the leaf. She can add one color, mix a few or make color blocks. If she’s mixing colors, try accompanying this activity with an art-themed book such as Little Blue and Little Yellow by Leo Lionni or Mouse Paint by Ellen Stoll Walsh. 3. Turn the leaf over and press it onto the paper. 4. Lift the leaf off of the paper. Save it to use for a fall wreath or as a stand-alone finger painting project. 5. Repeat with different colors. 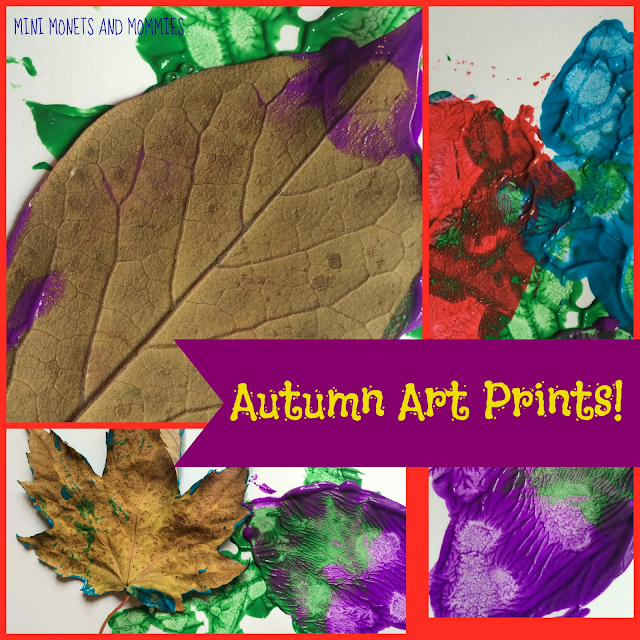 Are you looking for more fall art activities? Follow my Pinterest board for ideas! Fun and easy leaf activity!I like that you chose to use brighter colors too.